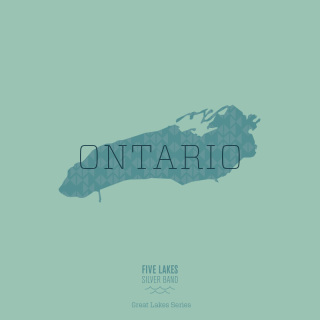 Ontario is the fourth compact disc in the Great Lakes Series. Price includes shipping. The 2014-2015 musical season has been an exciting one of transition for the Five Lakes Silver Band. We spent much of the year working with guest conductors as we looked for a successor to retiring Music Director Neil Barlow. Thus, we had the pleasure of working with many wonderful musicians on the podium during the season, and we appreciate their contributions to our growth. With particular emphasis on the many fine solos delivered by band members during this season's music making, we have recorded a collection of favorites performed by the band this year. This new CD, entitled Ontario, is the 4th album in our Great Lakes Series of recordings. ​We hope you enjoy listening to this album as much as we enjoyed assembling it. Once again, the staff at the Cathedral Church of St. Paul on Woodward Avenue in Detroit, Michigan was extremely generous to the band. The folks at St. Paul made their beautiful and acoustically grand church availalble for the entire set of recording sessions. Thanks much to our friends at St. Paul!